Home of the True Value Hardware Store in Alderson. Excellent location! In immediate proximity to Route 3 with high traffic count! Road frontage is approximately 353 feet. This property offers an abundance of parking: The total acreage is 7.53 acres. Approximately 2 acres is totally chain linked fenced. The facility offers a total of 11,128 sq ft with an additional 4,506 sq ft of covered storage. There's management offices & 2 bathrooms. Lots of potential here! 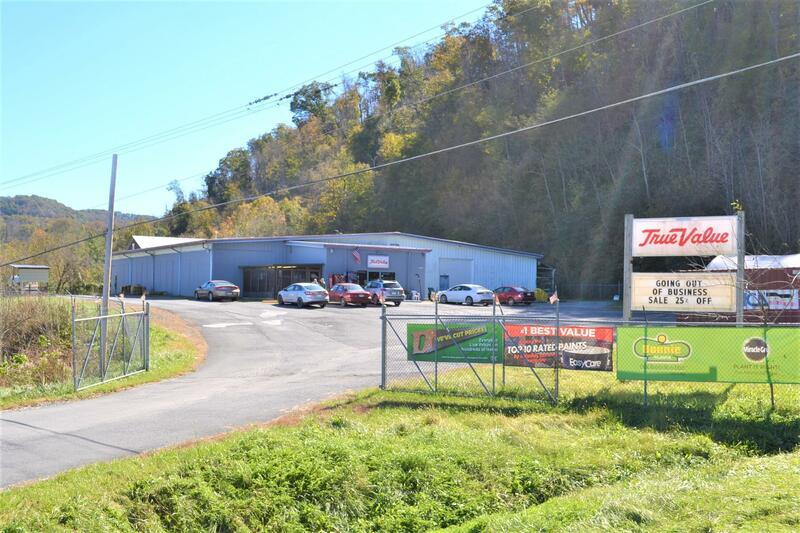 Continue as a hardware store, lawn care business, automotive: parts store, sales or repair, ATV/UTV dealership/service, antiques store, agricultural sales, river rental service: kayaks, tubes, fishing supplies or a hunting/fishing sportsman store are some ideas. Turn your ideas into your successes! Don't miss your opportunity!